Oil Tanks From Aqua Heat in Hereford & Ross On Wye, Herefordshire. 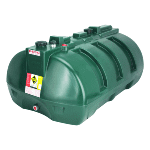 Aqua Heat is a leading retailer of oil tanks with branches in Hereford and Ross On Wye, Herefordshire. 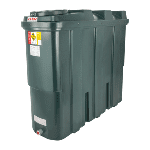 Oil tanks are necessary for oil fueled central heating systems. An oil tank is a fuel storage solution made from superior materials using intelligent build techniques that make them safer all round and better for the environment.